FREE 6-Month cloud recording (Activation Code: FISH1C04) and you can playback videos through SHO app remotely. You can also add a wireless NVR with an HDD (sold separately) for recording and access the videos either on a monitor or through SHO / Zmodo app. 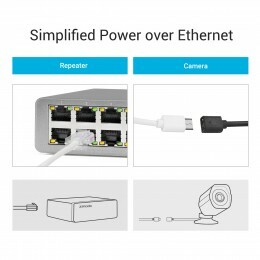 Easy Setup-Connect the repeater to a WiFi router and download the free app on your smartphone. 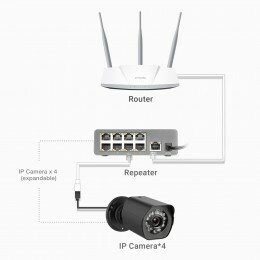 You will easily find and add the cameras kit to your account in LAN. Remote access has never been so easy. Customizable Motion Detection- Receive an alert and a short video clip whenever motion is detected, customize motion detection areas, create alert schedules to reduce unwanted alerts, download motion clips and much more. Motion video clips are stored in 12 hours at no charge. US-based SHO tech support & live time tech support- Get immediate live chat support from the Zmodo app. With NO monthly fee! Full refund in 60 days and 3-year warranty. 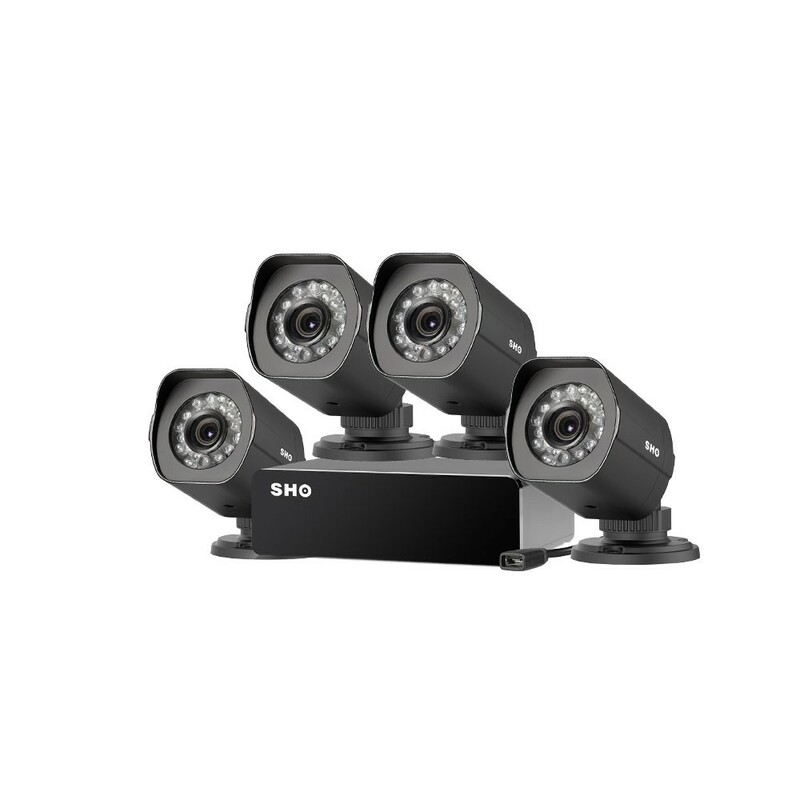 The sPoE camera system is a 4-camera monitoring solution for your home or business. 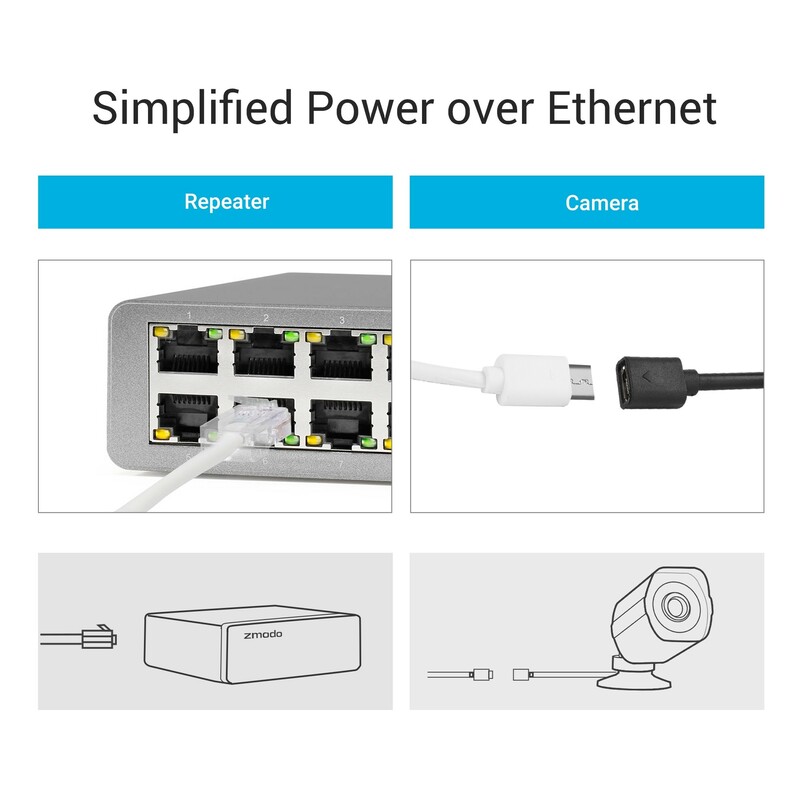 Setup is as simple as connecting the cameras to the repeater and repeater to the router, then downloading the free SHO app, the camera system will automatically occur under your account. 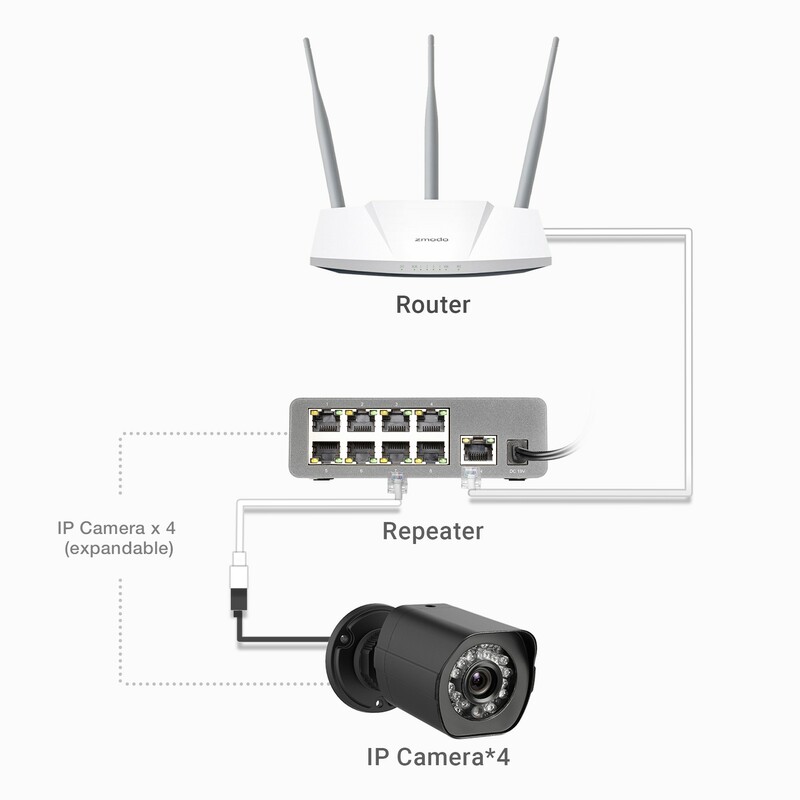 Once setup, you can remotely view from anywhere with a smartphone, iPad or PC. 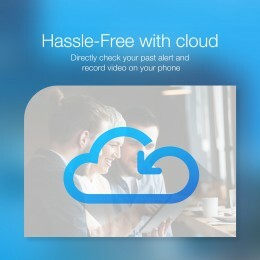 Our bank-level encrypted cloud service allows you to record footage up to 30 days and check back recordings anytime and anywhere, saving the cost and time of installing an NVR and getting rid of the worry about the loss of hard drive data once the NVR breaks down or is destroyed. Truly enjoy peace of mind no matter where you are and be notified when an unexpected issue happens. * Easy Setup - Connect the repeater and cameras within minutes using SHO app.